The retractable-hardtop variant is just 108 pounds heavier than the coupe. 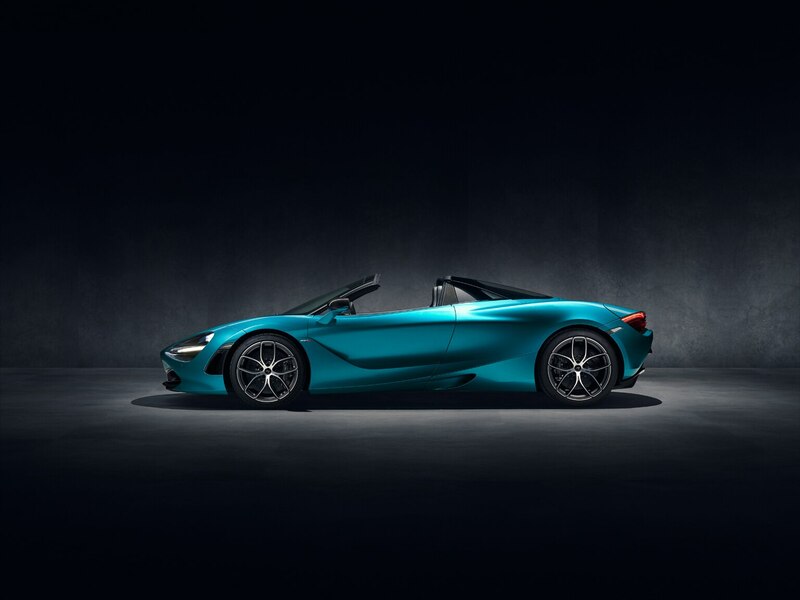 How do you improve on the McLaren 720S experience? 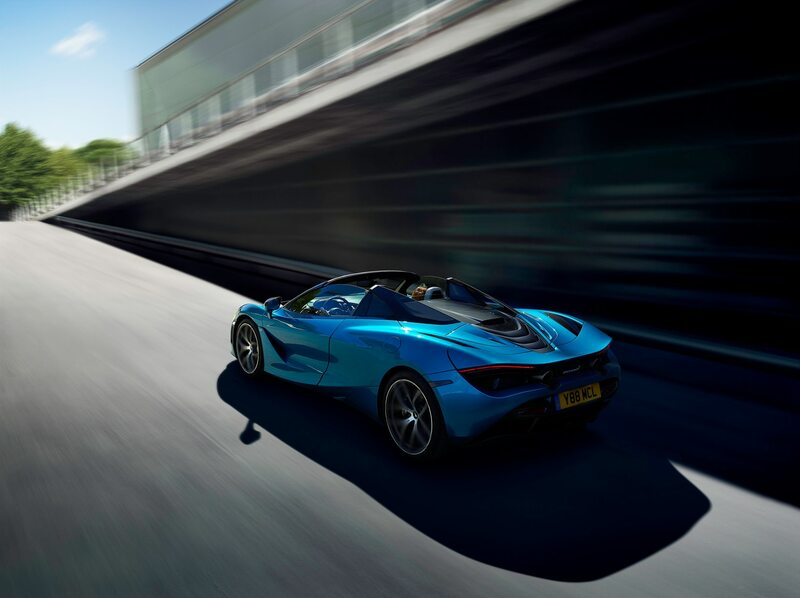 A tall task to be sure, but we’d say offering a droptop version is a good place to start. 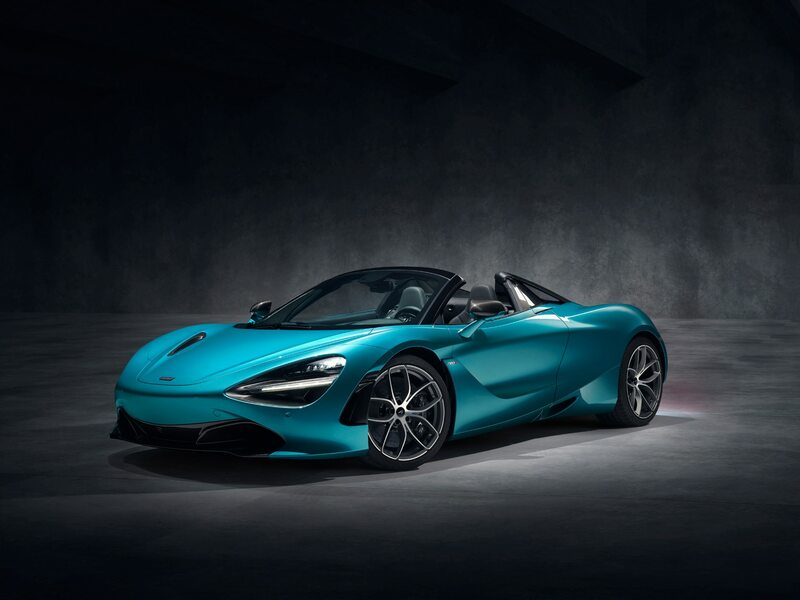 Enter the 2019 McLaren 720S Spider, the second of a staggering 18 models—the first was its coupe sibling—the marque plans to roll out by 2025 as part of its Track 25 plan. 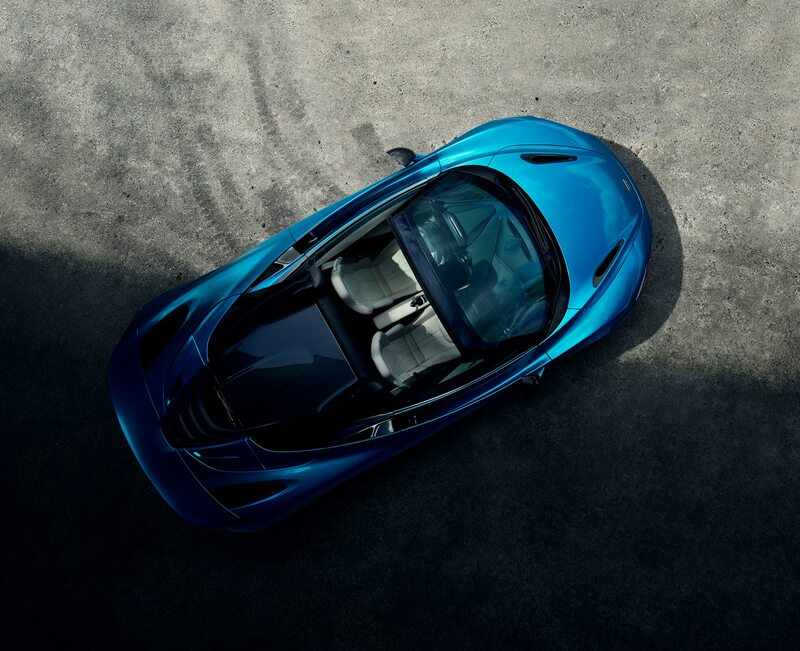 Creating a convertible model typically has meant a huge weight penalty versus a given car’s fixed-roof counterpart. McLaren’s latest Super Series supercar is just 108 pounds heavier than the 720S coupe, however, thanks in large part to its super-stiff carbon-fiber tub that required little to no additional bracing. With our colleagues at Motor Trend having weighed the coupe at 3,167 pounds, that means the Spider should slide in under the 3,300 mark. The job of sending that mass to stupefying speeds falls to the same mid-mounted 4.0-liter twin-turbo V-8 engine found in the coupe. 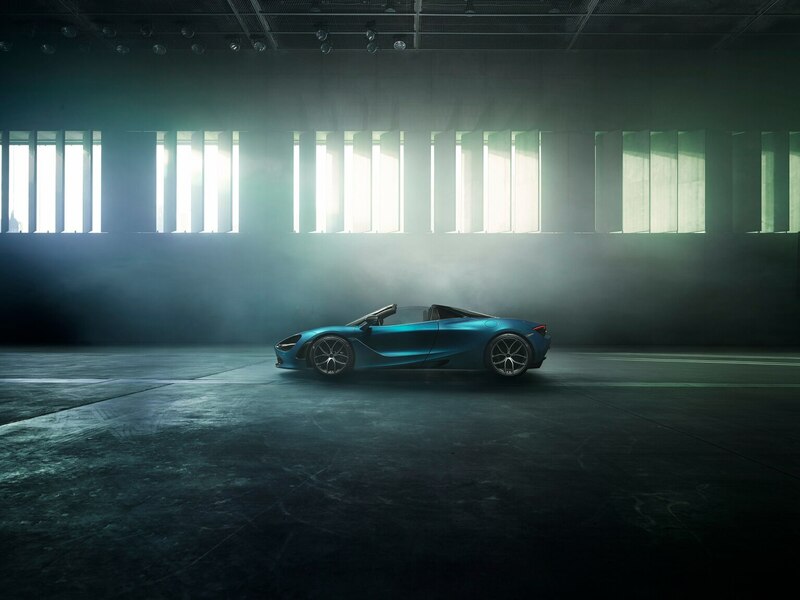 As in that car, it delivers 710 horsepower and 568 lb-ft of torque, and is mated to a 7-speed dual-clutch automatic transmission. 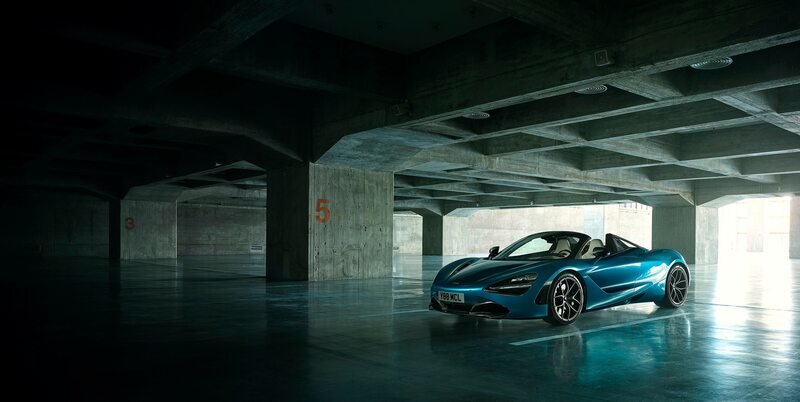 We recently drove the 720S coupe with Track Pack and—as you might expect—found it to be “a shockingly, disturbingly quick car.” We feel confident saying the same is true of the Spider. 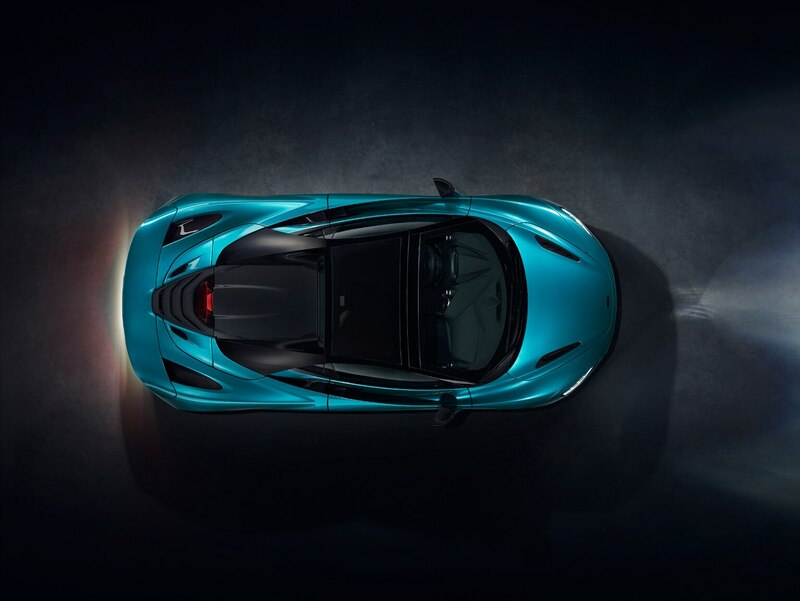 McLaren claims this new version can zip from zero to 62 mph in the 2.9 seconds, which is the same amount of time it cites for the coupe. However, MT rocketed the coupe to 60 mph in 2.5 seconds, so expect the Spider to outpace its official estimate. 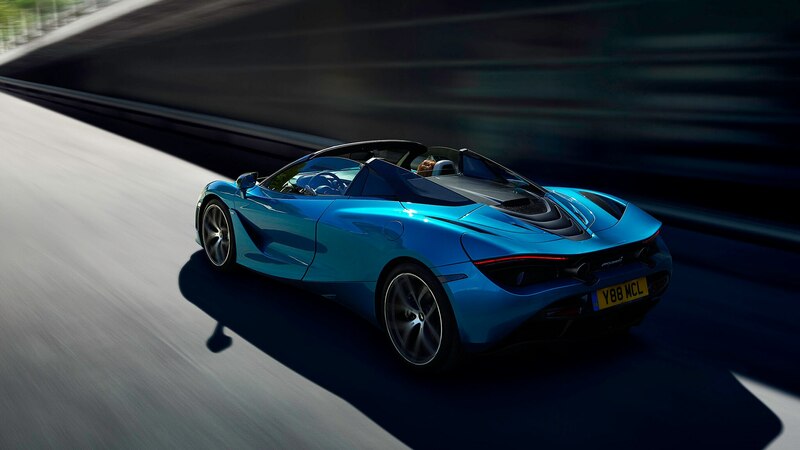 If that isn’t enough ludicrousness, the Spider has a maximum speed of 212 mph with the top up and 202 mph with its top down. If you have friends that are more impressed with tech than speed, order the optional electrochromic glass roof panel that changes from tinted to transparent at the press of a button. It incorporates into a carbon-fiber roof that can be dropped in 11 seconds at speeds of up to 31 mph. 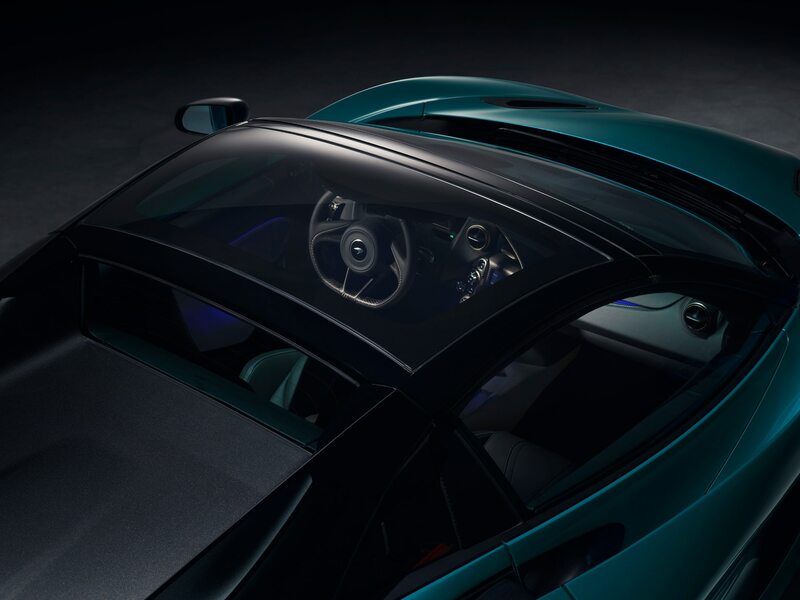 As mentioned, the Monocage II-S structure didn’t require additional strengthening to create the Spider, and thus the new car offers the same rigidity as the coupe. 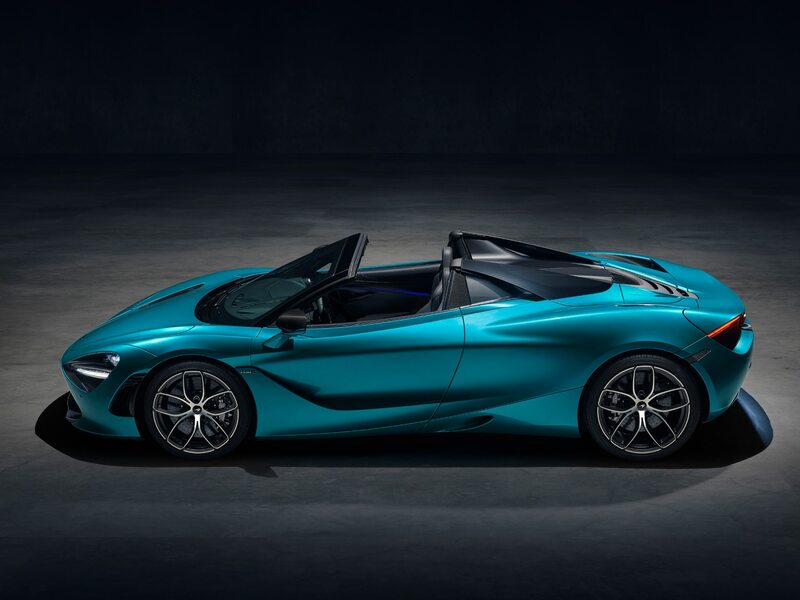 The Spider also incorporates what McLaren is calling “glazed” flying buttresses that guide airflow over the rear deck and which have clear portions to enhance visibility of all the cars you will invariably leave in the dust. 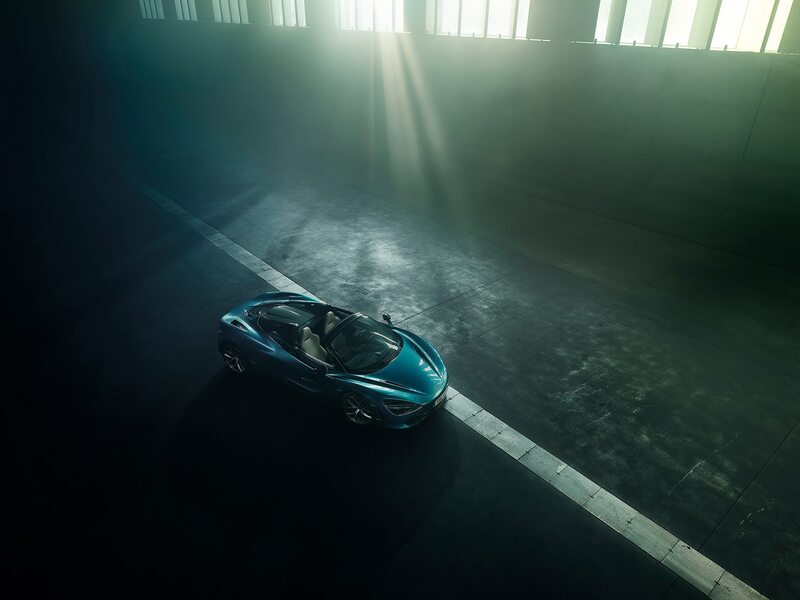 The Spider features a new 10-spoke wheel design and rolls on Pirelli P Zero rubber. It also offers two new color options—Belize Blue and Aztec Gold—to go along with the 23 other available hues. 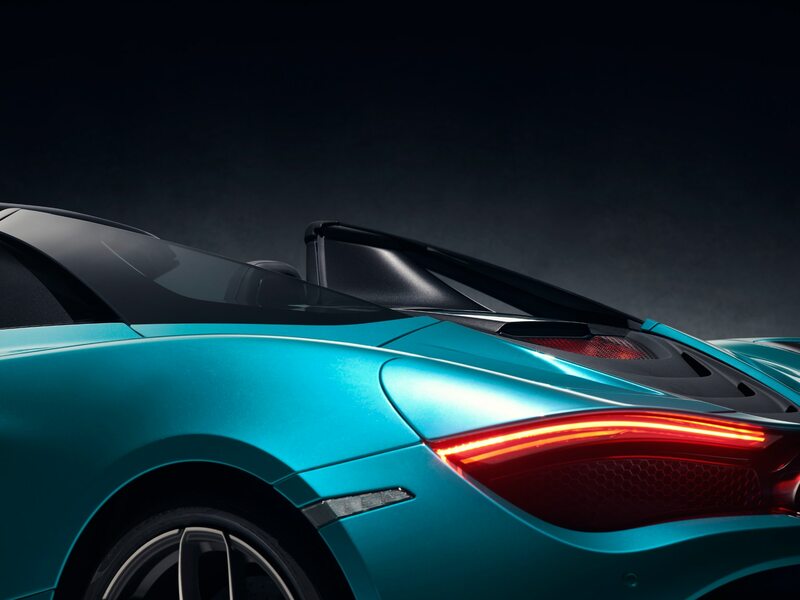 If none of those strike your fancy, McLaren will paint it any color you like for an additional sum, of course. 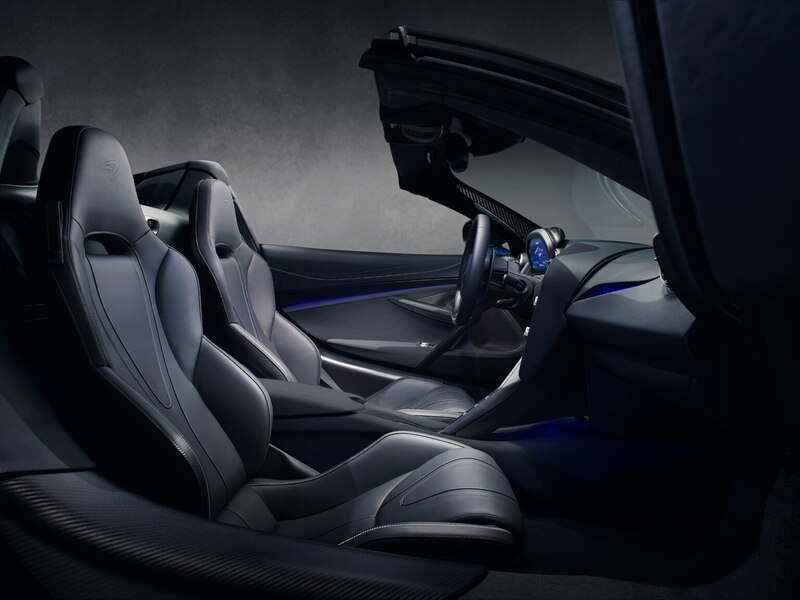 Deliveries are expected to start next March, with U.S. pricing opening at $315,000. 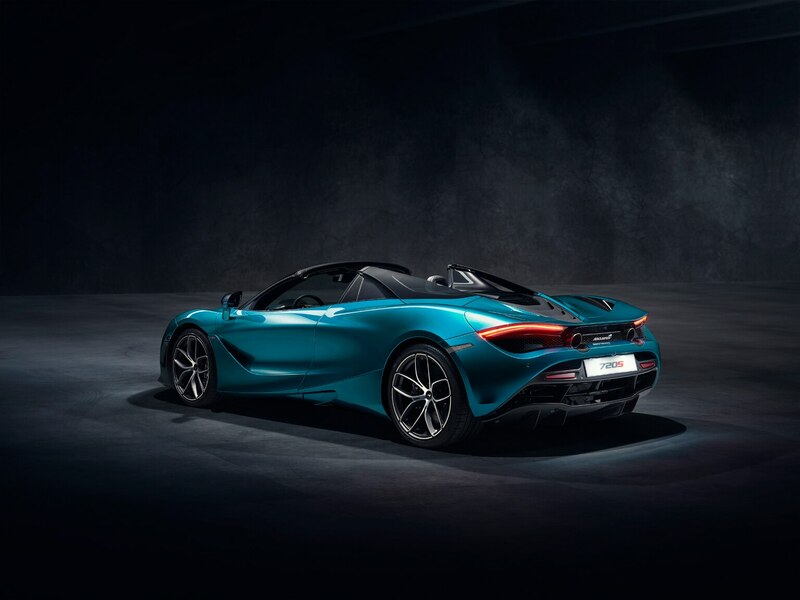 The order books are now open if you’d like one; just remember the 720S coupe sold out quickly last year and the Spider is sure to do the same, so act fast.